This type of extinguisher can only be used on Class A fires. It allows the user to direct water onto a fire from a considerable distance. A 9 litre water extinguisher can be quite heavy and some water extinguishers with additives can achieve the same rating, although they are smaller and therefore considerably lighter. This type of extinguisher is not suitable for use on live electrical equipment. This type of extinguisher is suitable for Class A fires. 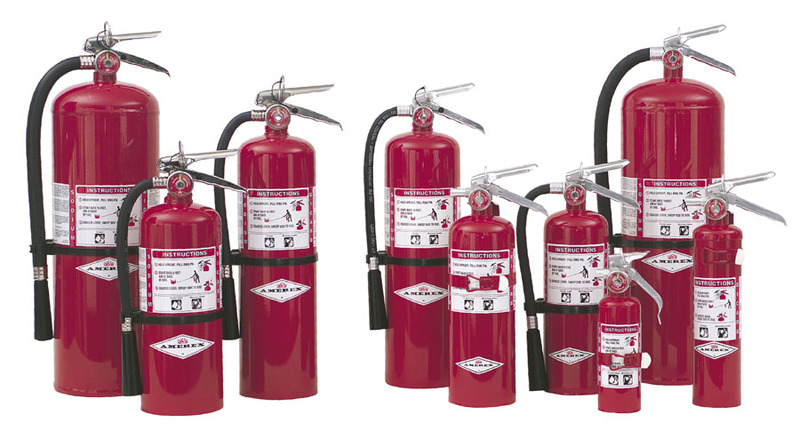 It is generally more efficient than conventional water extinguishers. This type of extinguisher can be used on Class A or B fires and is particularly suited to extinguishing liquid fires, such as petrol and diesel. It should not be used on free flowing liquid fires, unless the operator has been specially trained, or else the fire could spread rapidly to adjacent material. This type of extinguisher is not suitable for deep fat fryers or chip pans. This type of extinguisher can be used on Class A, B and C fires and achieves a good ‘knock down’ of the fire. It does not cool the fire appreciably, so reignition can occur. It can be used on fires involving electrical equipment but may damage delicate electronic/electrical equipment. Powder extinguishers can create loss of visibility problems and may affect people who have breathing problems. This type of extinguisher can be used on Class B fires and is particularly suitable for fires involving electrical equipment since it will extinguish a fire without causing any further damage. These types also do not cool a fire appreciably, so it can reignite. With all fires involving electrical equipment, the power supply should be disconnected, if possible. The extinguisher makes a loud noise when discharged and the horn can freeze this has been known to startle operators, causing them to drop the extinguisher. This type of extinguisher is particularly suitable for commercial catering establishments with deep fat fryers. The colour coding of fire extinguishers to indicate the extinguishing media should comply with BS 7863: 1996: Recommendations for colour coding to indicate the extinguishing media contained in portable fire extinguishers. Extinguishers manufactured to current standards should be predominately red and may have a colour coded area, sited on the front, denoting the extinguishing medium. Older extinguishers will have been manufactured with the body of the extinguisher painted in a single colour. These older extinguishers remain acceptable until they are no longer serviceable. However, it is good practice and recommended in BS 53068 to ensure that old and new style extinguishers are not mixed on the same floor of a building. Fire blankets should be located in the vicinity of the fire hazard they are to be used on, but in a position that can be safely accessed in the event of a fire. 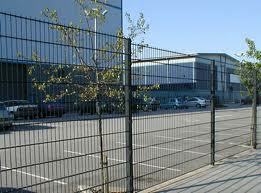 They are classified as either light duty or heavy duty. Light duty blankets are suitable for dealing with fires in small containers of cooking oils, or fats and fires involving clothing. Heavy duty blankets are for industrial use where there is a need for the blankets to resist penetration by molten materials.